"When I moved into my new house at the end of last year I inherited a rundown workshop from the former owners. Your book inspired me to do something special with it and create somewhere I could work and relax. £8,000 later, the result is the "News Shed" - recently completed and now open for business! "And when the work is done there are bikes on hand to cycle to a delightful canal-side hostelry nearby that's listed in the Good Beer Guide! If you want to use the climbing frame, however, you'll need to ask Billy for permission." You can hear the first live 2-way from the News Shed here and a live radio interview here. The effect on men’s health, wellbeing and informal learning' in Leicester. University of Leicester and Association of Education and Ageing. Deputy Head of School of Education, University of Ballarat, Australia and an honorary Australian Men’s Sheds Association Patron and Adult Learning Australia Board member. 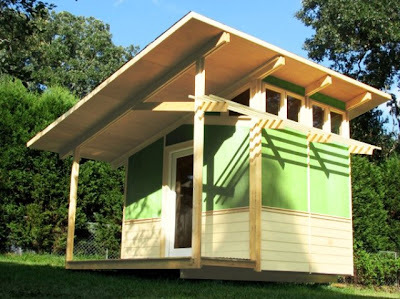 Workshops will include how to set up and run a shed, and how to keep a shed going once it's up and running. 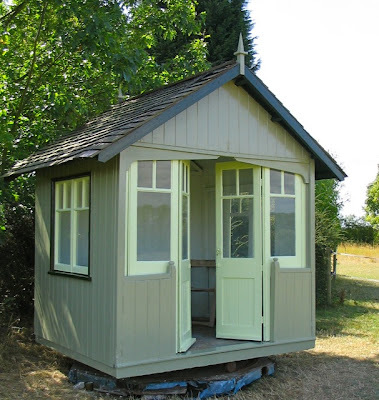 Shedworking is indebted to reader Alan Field who indulges the staff's delight in revolving sheds and garden offices with these photos of his Boulton & Paul shed (the kind of rotating shed owned by George Bernard Shaw). 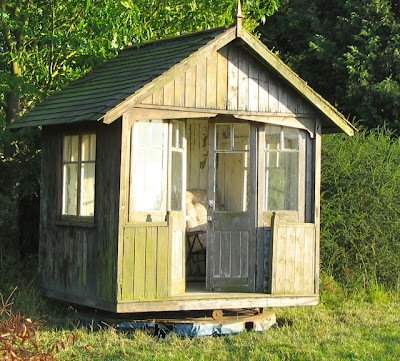 "It was seeing a post on your site about a Boulton & Paul summerhouse," he writes, "that prompted me to do something about my own building which had long been languishing out of sight and, I feared, needlessly rotting quietly away. Despite being forklifted over bumpy acres (twice) this 1920s original B&P required only the doors rehanging before its first ever make-over this month. There's quality for you." 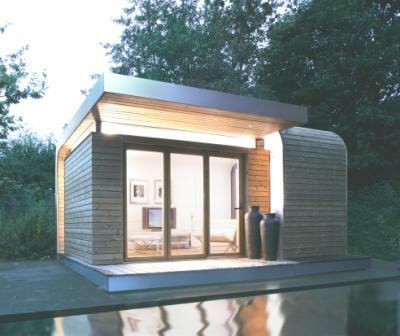 On first glance this is probably nobody's idea of a shed or garden office. 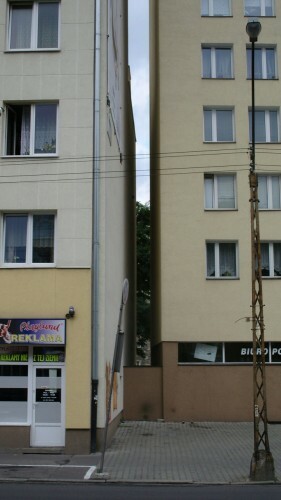 But it's a very intriguing workspace in Warsaw to be built in a weeny space between two other buildings by architects Centrala: the interior measures from 1.2m and 72cm at its narrowest (see below) and will be an office for writer Etgar Keret as well as a studio for visiting writers and artists from around the globe. It will be built with plywood on a steel frame and covered with concrete cloth. 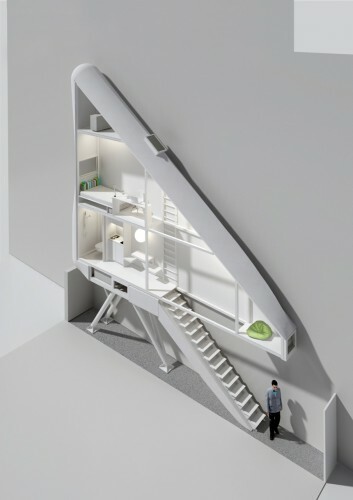 More photos and information at the always fabulous archdaily. 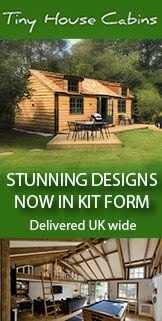 A lovely slideshow at Better Homes and Gardens of ideas for decorating your shedlike atmosphere's interior and exterior including this rather spectacular wide entrance door, with sid windows and an arched top window. WINTER HOUSE_Fragile Shelter Project from Hidemi Nishida on Vimeo. By artist and designer Hidemi Nishida, a temporary winter shedlike structure in Sapporo, Japan. Here's what Hidemi says about it: "This winter temporary shelter leads people to gather, have a party, stay, feel something in the white woods. And they could feel cozy atmosphere in it." Eric Ravilious was one of the finest British artists of the 20th century and also a caravanworker. His watercolour Caravans, recently bought by the Fry Art Gallery in Saffron Walden, pictures two caravans which he used as his temporary home and studio during the peak of his career in th early 1930s. The caravans were near an isolated cottage called Furlongs at Glynde in Sussex owned by artist Peggy Angus. 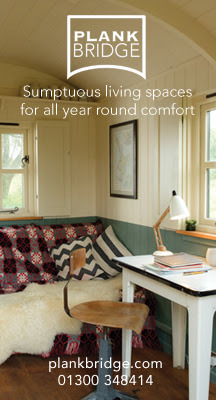 Ravilious visited her in 1934 and loved the area so much he bought the caravans - fever wagons used during the Boer War - as shedworking space for 15 shillings each from a local cement works. 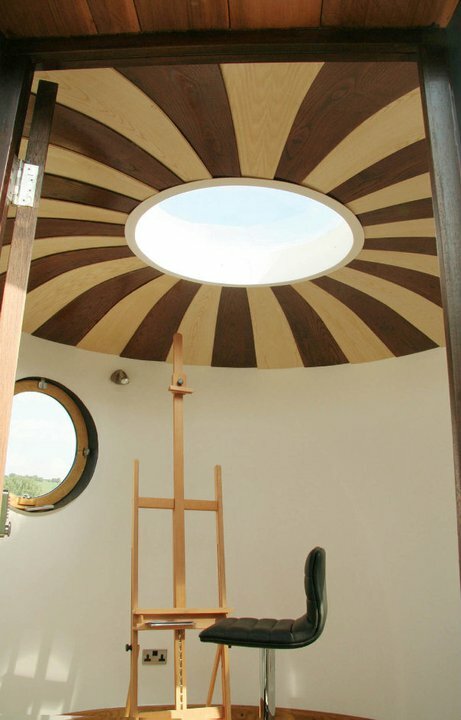 The studio one had a skylight and large window looking over Mount Caburn, and a worktable beneath the window. Sadly the caravans (which were decorated inside by his wife Tirzah) are no longer with us: they fell apart in the 1950s. You can find the Old Post Office Farm site here. North Carolina-based MorHaus sell building kits largely aimed at those interested in small prefab houses but also offer the MicroMor in either a 4' x 8' or an 8' x 8' model which they say can easily be assembled in one afternoon by two people. 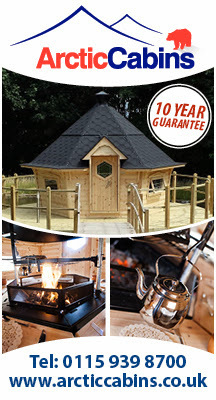 Apparently one of their customers is using the larger version to house feral cats until they are adopted but it would also be ideal for shedworking. 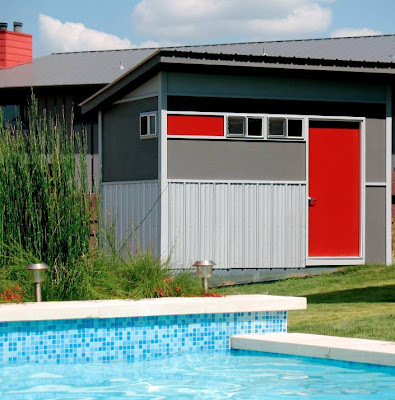 The spec includes metal roof, concrete siding and hardwood veneer plywood, as well as a small attached arbor. 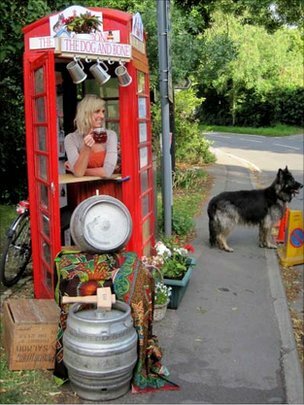 This is The Dog and Bone pub, a temporary 3ft by 3ft shedlike drinking atmosphere set up in the phone box of Shepreth, Cambridgeshire, to mark the closure of the village pub, The Plough. The Nutshell in Bury St Edmunds, Suffolk, is in the Guinness Book of Records as Britain's smallest pub, measuring 16.5ft by 6.5ft. 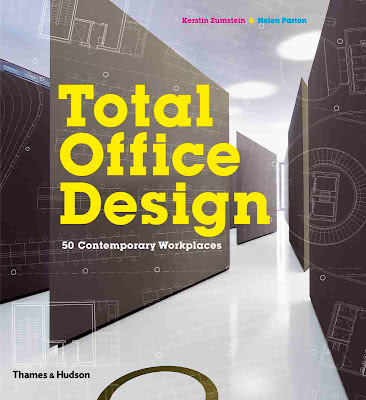 Total Office Design: 50 Contemporary Workplaces is a new book by Helen Parton and Kerstin Zumstein published by Thames & Hudson (who will be publishing the Bookshelf book early 2012). 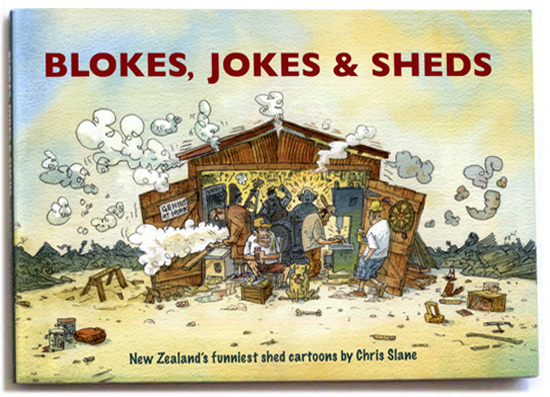 It's a marvellous, well-illustrated look at interesting workplaces, none of which are boring, expensive or harmful to the environment (you'll recognise a few which have been featured on Shedworking over the years but the majority will be fresh delights). 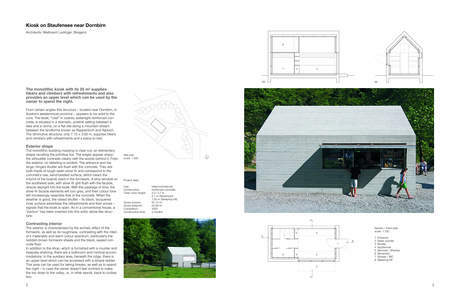 The book - which is out now and available in all the normal places - is organized into separate sections featuring small, medium and large projects, each one fully illustrated with photographs, drawings and plans. 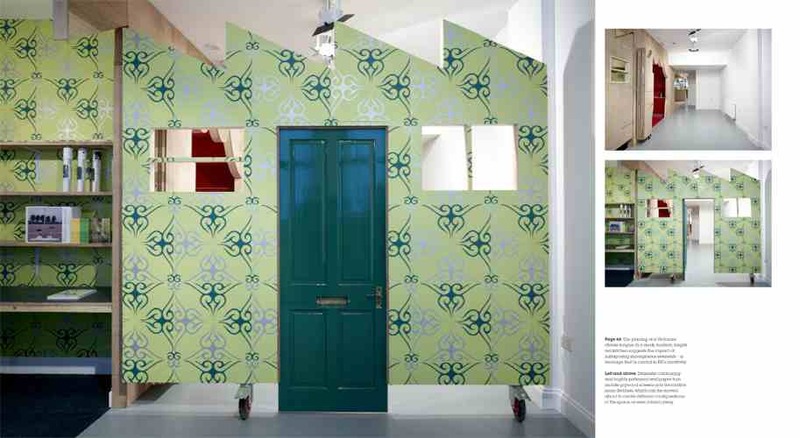 It's as thorough a job as you'd expect from Zumstein and Parton who are specialist design and architect journalists, familiar to many of you from their work at onoffice magazine which is one of our daily reads. This is an office of an IT firm Bearstech in Paris. The architect, Paul Coudamy, sourced scrap wood from skips around Paris to create a cave-like (or could that be shedlike) interior within an interior and a seriously cosy atmosphere. This is the office of a creative agency that promotes design in Shoreditch. 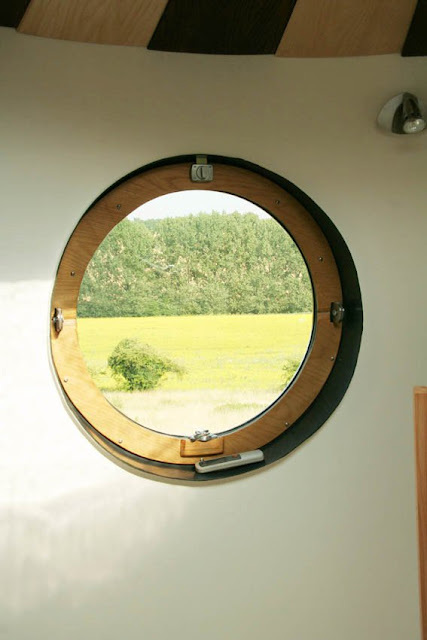 The designer, Tomas Klassnik, used inexpensive materials such as plywood, as often found in the shed, and plenty of surfaces on which to brainstorm. 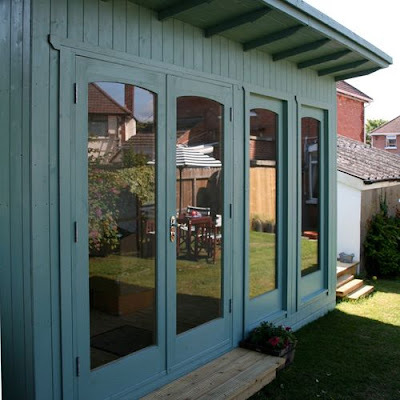 There was a real DIY ethos to this project, something any shedworker would be proud of! In order to think outside the box, Van Der Architects brought the box, or make the walls from an old Japanese house inside. The result is distinctly shedlike. The idea with the design of this office is to make the employees feel like it's a home from home, hence the domestic influences. Is it an advertising agency, is it a shop, is it a gallery space? 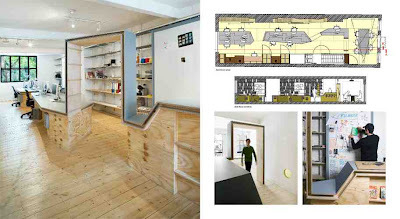 Well this Hoxton Square space, designed by architects FAT, is all three. 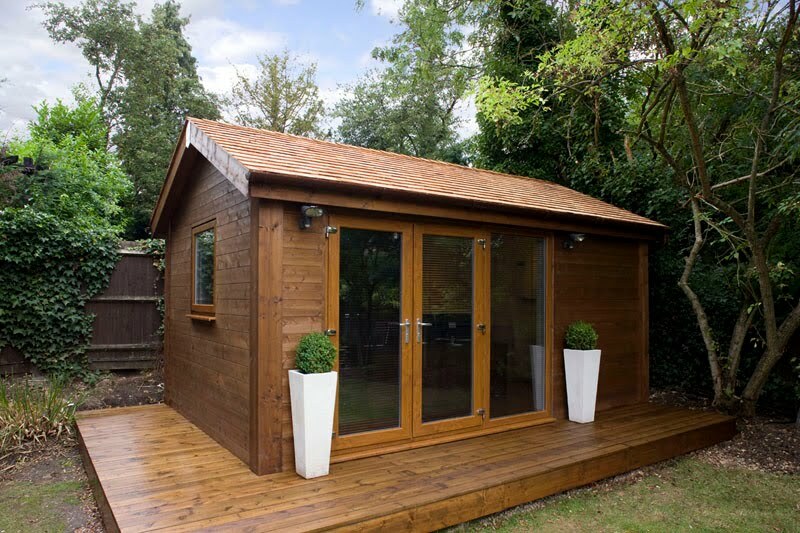 It's an intimate space, not much bigger than your average shed, and uses quite basic materials such as rubber flooring and ceramic tiling but nonetheless manages to be an inspiring working environment where great ideas are born. 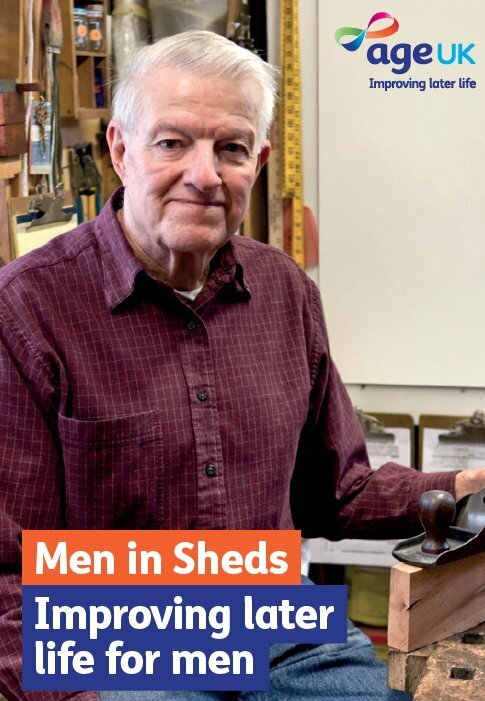 Shed Widows, DIY Disasters and Tool Talk." 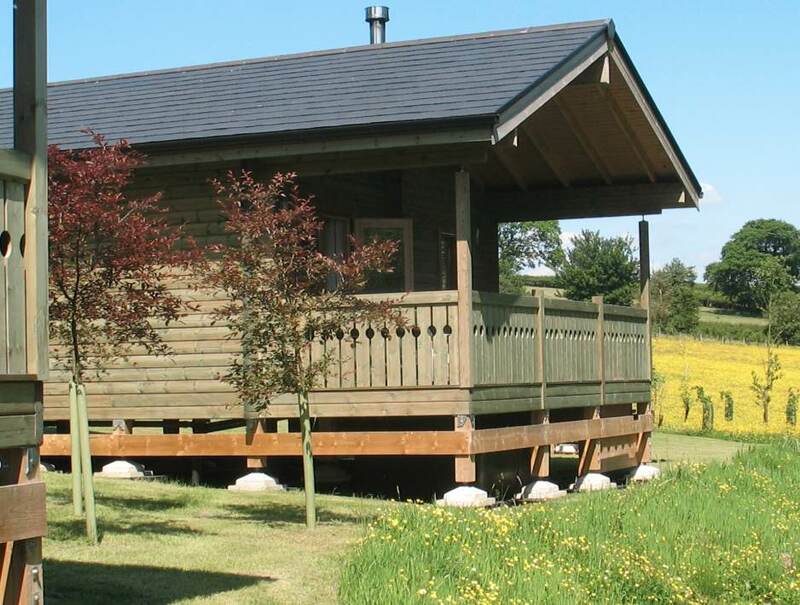 Elm Tree & Partners is a joinery company in West Oxfordshire which also offers a garden office design made of oak with a set of oak bifold doors to the front and Celotex insulation in the ceiling, floor and walls. 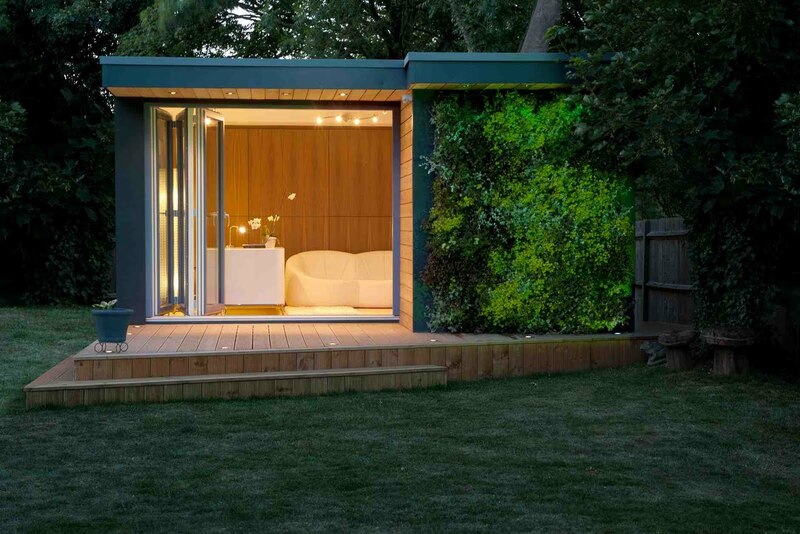 Part of an episode from the recent My Flat Pack Home series on UKTV's Home channel which featured Vicky and Nick Leighton who built a self-contained in.it.studios garden office studio (with a kitchenette and bathroom). With presenter Amanda Lamb. Always a pleasure to be shown around somebody's working shed. Jane Perrone is the Guardian newspaper's gardening editor and earlier this year built a garden office with a rather nice green roof. She is updating her Flickr page with regular updates (her aim is a weekly photo) to show how it changes through the course of a year. 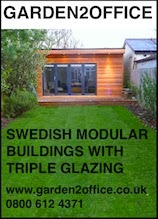 For more details nip over to her blog Horticultural which also contains full details of the roof planting. Shelters, kiosks, snack bars, market stalls, bus stops, telephone booths, toilets, advertising columns, ticket booths, mobile tents or housing units, emergency shelters, tourist information booths—this list of small, autonomously functioning buildings could be expanded almost infinitely. Small buildings shape our daily lives; they are found at the nearest street corner; they are present and indispensable, but as architecture they attract our attention only rarely. Yet these small structures occupy a definite place in the infrastructure of the city. Rather than focusing on the large attractions of architecture, architects find many potential ways to ensure the quality of everyday design hidden in these small, sometimes charming necessities. 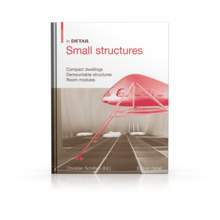 This volume in the DETAIL series spans the arc between architecture and product design, since not infrequently small buildings are located precisely in the area of tension between these two professions, and their successful realization is evident in the details of their construction. Illustrator Neal McCullough is based in Bangor, Northern Ireland, and runs Hand Drawn Creative from his new garden office. The move coincides with the birth of his son who will be taking over Neal's previous office space. Neal and his father sketched a design for the garden office which was then built by Smylie Sectional Buildings. 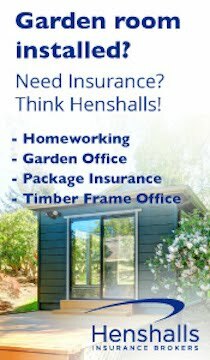 has set up a networking/social group for shedworkers and other homeworkers in Market Harborough, the Homeworking Alliance. 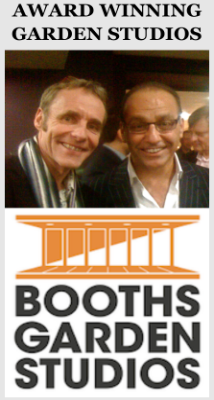 Working with local telecom specialist Doug Andrews, members pay a yearly subscription and a small fee for meetings. First-time visitors and those bringing first-time visitors come along for nothing. 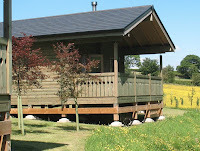 Although they cater specifically for the needs of the shed/homeworker (e.g. parent-friendly meeting times), they also have members who run small, independent businesses from an office or shop. 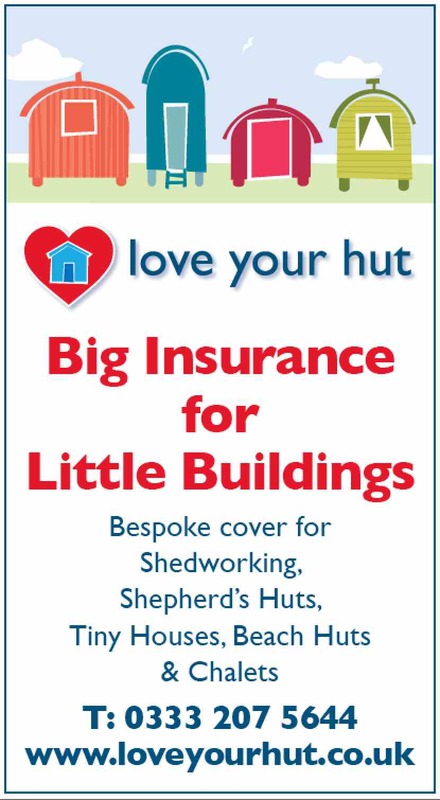 As well as the main Market Harborough meetings, there are also now groups in Lutterworth, Hinckley, Kettering and Northampton and they hope to expand further in the very near future. 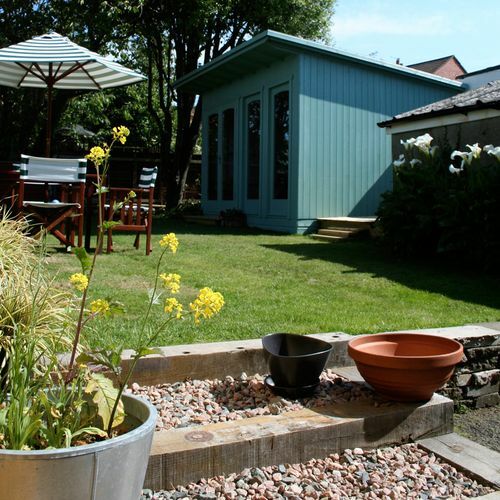 "We are also always on the lookout for homeworkers or small business owners who like to network and feel they could run a successful Homeworking Alliance group in their own area," says Jane. "I feel very passionately that we can make a huge difference to homeworkers who often find it very difficult to network their businesses and are frequently unable to do so because of the very early start offered by other networking organisations." Shedworking is now on holiday for a bit, but while the senior staff are away sunning itself in a hammock and unable to answer any queries, the shedworking interns will still be posting every day so please do keep coming back. 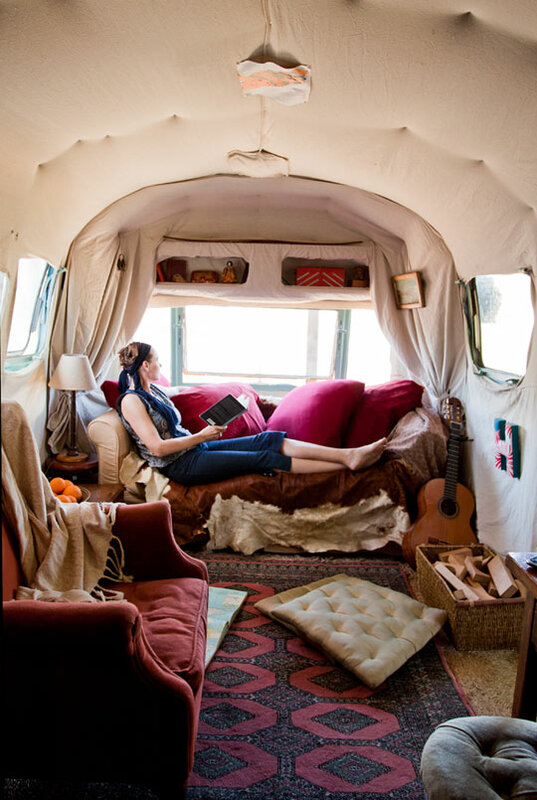 Californian artist Julie Montgomery is featured at the marvellous re-nest talking about her Airstream trailer where she lives with her young son and the garden office studio (a former fruit-packing warehouse) a five-minute walk away where she works. There's also a great slideshow of the interior. 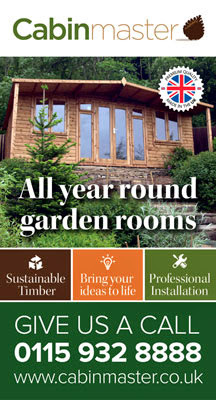 Well worth a browse. 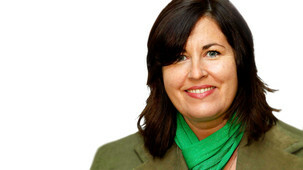 Liza Tarbuck is sitting in for Simon Mayo on Radio 2's drivetime show this week and was generous enough to ask us on to chat about shedworking. You can hear our conversation on their Listen Again thingy for the next seven days - it starts about 20 minutes in, at 5.20pm-ish. 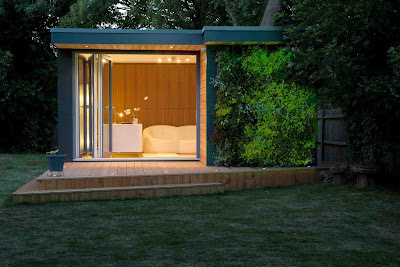 eDEN is a garden office model from Canterbury-based Eco Frame Systems which features a living wall of flowers - or 'vertigarden'- designed to offer a natural habitat for wildlife as well as a thermo efficient method of insulation as well as accoustic insulation. 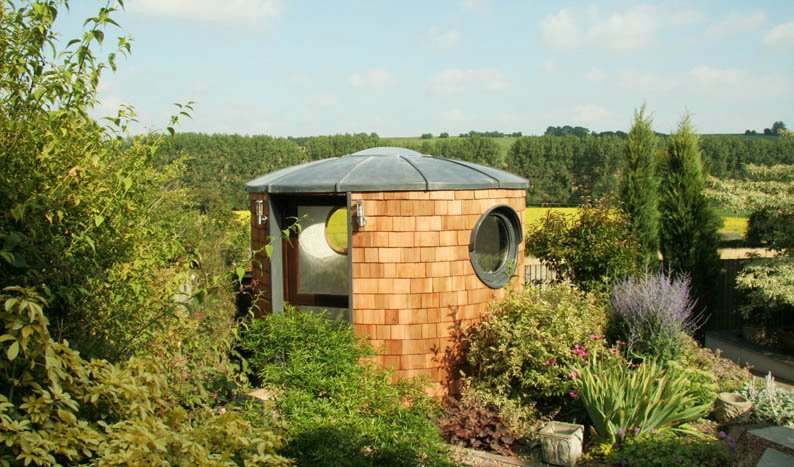 The vertigarden is made up of pre-planted modules which retain the plants and soil - there's an inbuilt irrigation system, which means that the wall requires very little maintenance. 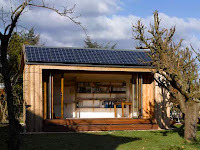 The first eDen has been erected in Broadstairs and is open for people to look round, chat with the Eco Frames Systems team and enjoy a cup of tea. 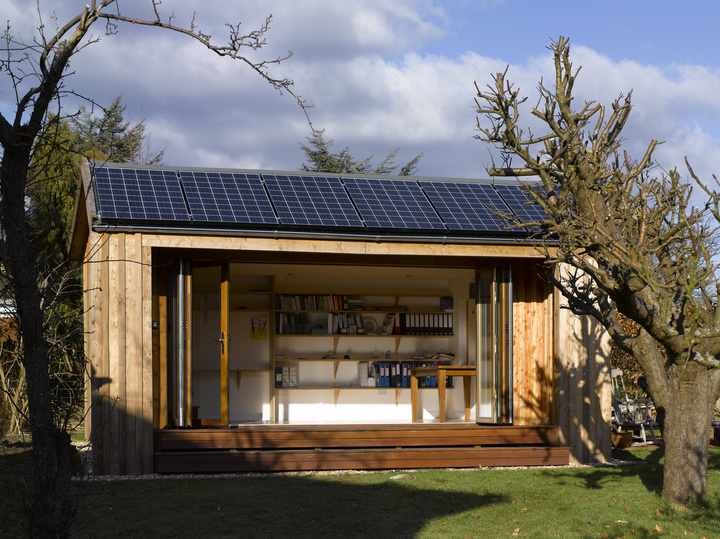 We mentioned last weekend's Shedspace shed festival and are very grateful to Arun Kataria for these photos of the working sheds in situ. So, from the top, there's the story shed, three photos of the disco shed, then the cinema shed, the designer shed and finally the circus shed.